Hello Survivor buddies! Welcome back! Let’s get ready for season 32, Survivor: Kaôh Rōng - Brawn vs. Brains vs. Beauty. Are y’all excited? I personally could go for a new tribe division twist, or GASP, the ultimate tribe division twist- no twist at all! This is the second time that a big casting twist has been reused within a year or two, and I thought the Brawn vs. Brains vs. Beauty was a bit of a stretch the first go-round anyway. Oh well, I’m just excited for it to be back! Here is the cast! It looks pretty good. I watched Jeff’s cast assessment and some of the “meet the castaways” videos and I think my favorites are Aubry (Brains tribe, Harry Potter and Survivor geek with glasses), Cydney (female bodybuilder on the Brawn tribe), and Tai (older Asian man on the Beauty tribe). Notable castaways include Caleb from Big Brother 16 who made sure to bring a Beast Mode Cowboy belt buckle with him to the island, a guy who founded an organic ice cream company, a former NBA star (will this become a requirement for all future BvBvB seasons? ), and a former federal agent who recently thought he was texting when he was actually tweeting (nothing inappropriate, so that’s good). There seem to be some good characters among them (Debbie, who calls herself “female Coach,” which is okay with me as long as she is not horribly misogynistic and doesn’t try to lick a woman’s face and enroll everyone in a cult), so hopefully it will be an amusing season. Anyone want to make a winner pick? I am hoping for a woman this time. LOL jk I hope for a woman EVERY time. I am thinking Jennifer (Brawn tribe, owns a construction company), but I was having a hard time picking because the commercials are emphasizing how brutal the game is and make it look like there are multiple medevacs, so it seems like it might be a crapshoot on who gets pulled from the game. 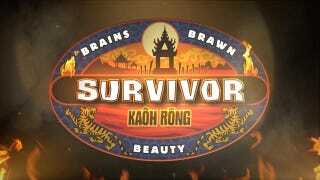 Do you think the winner will be from either Brains or Beauty this year, or will Brawn continue its dominance over thir format? Will the Brains implode once again? Will we get a winner as entertaining as Tony (I firmly believe all winners must be required to spy on their competition at least once in the game. Sandra and Tony just do it so well)? Hopefully it’ll be a good season!